Frankie Dettori is arguably the most famous jockey in the world of horse racing. The 47-year-old has claimed over 500 victories in class races during his illustrious career, with a pinnacle moment emerging in 1996 at British Champions’ Day at Ascot when he rode all seven winners at the event. Dettori has been named British flat racing Champion Jockey three times, although his last crown came in the 2004 season. The Italian remains one of the elite jockeys in the sport even due to his advancing years, reeling off an impressive win at Prix de l’Arc Triomphe guiding the impressive filly Enable to victory. Dettori has produced a series of outstanding performances and we hope to see the same from the competitors in the Gold Cup this year with a number of fine horses considered strong contenders on Oddschecker among leading bookmakers.We’ll now break down Dettori’s best performances that those competitors will be determined to emulate next year. Dettori was handed the reins to Enable for the 2017 season by trainer John Gosden. The bay filly had a win and a third-place finish under her belt before passing into the charge of Dettori. The three-year-old was not considered the favourite for the Cheshire Oaks, but she put forward a fine performance to secure the win in her Class One debut. Enable then secured further triumphs at the Oaks and the Irish Oaks before competing at the King George VI And Queen Elizabeth Stakes. She defeated a number of quality competitors to claim the crown by five lengths. Enable then ended the English flat season with another fine win at the Yorkshire Oaks. The pressure was on Dettori, Gosden and their charge at Chantilly for the l’Arc after being named the favourite for the event. 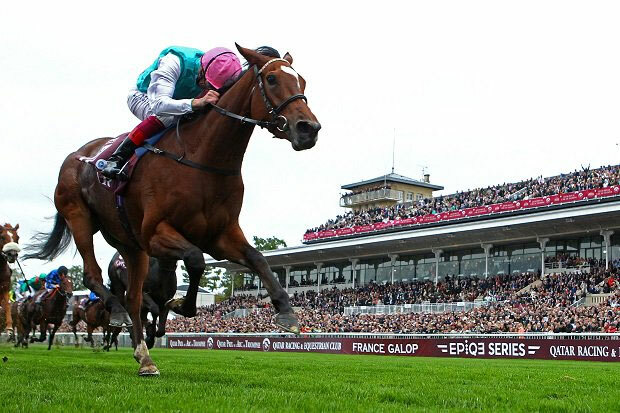 In her first outing on French soil, Enable was outstanding with Dettori guiding the horse through the field before cantering down the stretch to win by a comfortable margin. The bay filly was dominant and Dettori ensured that he filled his potential. 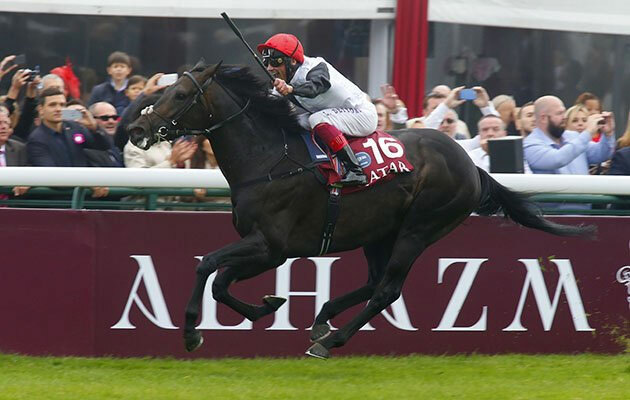 Dettori enjoyed similar success two years earlier with Golden Horn. The trainer was once again Gosden and the bay colt made a strong start to his Class One career with a victory at Newmarket in the Feilden Stakes. Dettori was not in action as the horse won the Dante Stakes in York, but returned to the saddle for one of the most prestigious races in the flat calendar. Golden Horn rose to the occasion at Epsom to deliver a brilliant display, surging through the field towards the end of the meet to beat out Jack Hobbs by two-and-a-half lengths. Although it was not the cleanest of rides on the bay colt, Dettori and his charge were clinical to secure the victory. He was not able to keep the winning run going at the International Stakes at York, losing out by a neck to rank outsider Arabian Queen. However, the bay colt restored his reputation with triumphs at the Irish Champion Stakes and Prix de l’Arc Triomphe at Longchamp, although his career ended with a narrow loss at the Breeders’ Cup. The performance at Epsom still stands out at it was such a fine display so early into his Class One career over a talented field. Previous articleWhy is Italian Food Still Surging in Popularity?